The Wingate by Wyndham Greenville Airport is conveniently located off Interstate 85, only ten minutes from Greenville Spartanburg Airport, near Greenville Zoo, Willow Creek Golf Club, and within walking distance of many local restaurants. Ideal for both work and play, this smoke-free lodging offers complimentary continental breakfast, complimentary internet, seasonal outdoor pool, fitness center, laundry facilities, meeting and conference rooms, and business center. A complimentary airport shuttle service is also available. 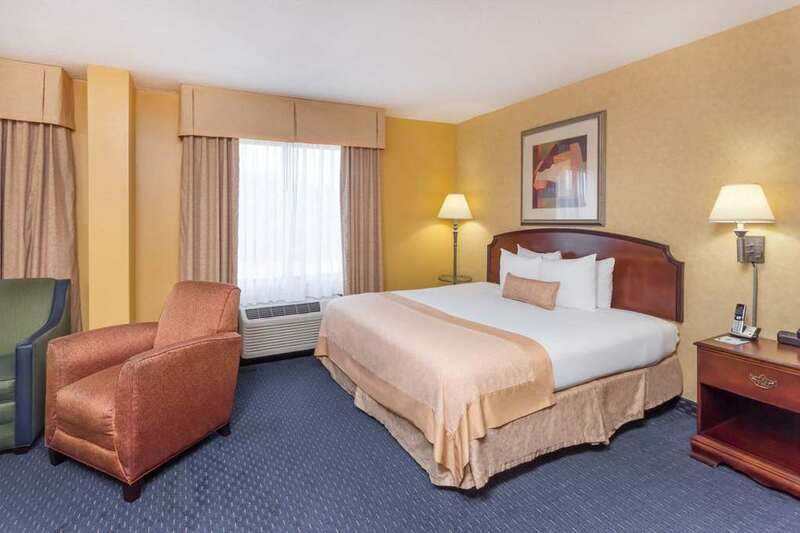 Guest room amenities include microwave, refrigerator, HDTV, desk, complimentary local telephone calls and newspaper. Handicapped-accessible rooms are also available.